June 22, 2010 by Ken Ward Jr.
A year ago on West Virginia Day, I wrote a piece for Jason Keeling’s A Better West Virginia blog about the challenges West Virginia faces in figuring out its future and how the future interacts with the coal industry. Through the climate crisis and the continued outrage over the damage caused by mountaintop removal, West Virginians are confronted with major challenges about our coal industry. While coal no longer has the statewide economic impacts it once did, it is still a major source of good jobs in coal-producing counties — and in some places is really the only economic engine. But the state has never really fully faced up to questions like: If coal is so good, why are all of the places it is mined still so poor? That’s changing though, because the global challenge of dealing with global warming, and the national furor over mountaintop removal, are pushing us along. The sovereignty of West Virginia must also be respected. The monolithic power of industry should never dominate our politics to the detriment of local communities. Our coal mining communities do not have to be marked by a lack of economic diversity and development that can potentially squelch the voice of the people. People living in coal communities deserve to have a free hand in managing their own local affairs and public policies without undue political pressure to submit to the desires of industry. But we’ve also seen other political developments, like Sen. Jay Rockefeller’s increased hostility to dealing with climate change, and Rep. Nick J. Rahall’s refusal to even consider both sides of the mountaintop removal issue. We continue to be educated by new reports on the science, economics and on-the-ground realities of coal. There was the great report by Downstream Strategies about the inevitable decline of Central Appalachian coal production, the blockbuster paper in the prestigious journal Science about the impacts of mountaintop removal, more work by West Virginia University’s Michael Hendryx about the connections between coal and health problems in the region, a National Academy of Sciences study on coal’s huge hidden costs, and a report by the group Physicians for Social Responsibility about coal’s Assault on Human Health. As I mentioned in a post last week, this past year also shocked many folks back into the reality of the terrible toll that coal mining can have of mining families, when 29 workers died in Massey Energy’s Upper Big Branch Mine on April 5. It remains to be seen what sorts of lessons we’ll learn or reforms will come from that disaster, the worst in the coal industry in 40 years. Federal agencies will work in coordination with appropriate regional, state and local entities to help diversify and strengthen the Appalachian regional economy and promote the health and welfare of Appalachian communities. 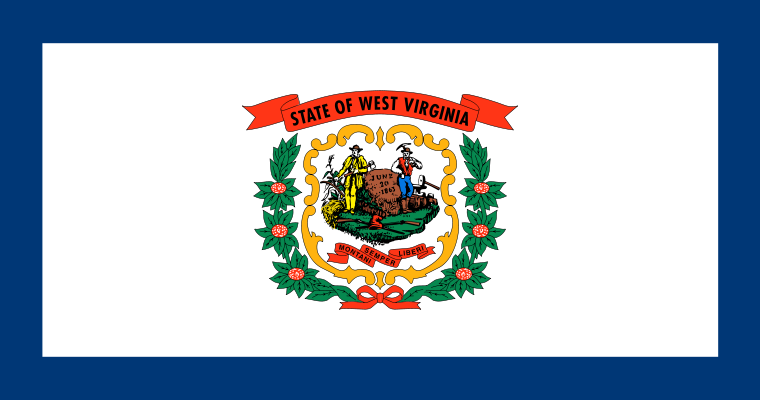 Is there hope that West Virginia is moving forward and confronting these issues a positive way that will make the state a better place for live? What do you think? I wish I could be more upbeat about West Virginia a year later, but until other elected officials join Senator Byrd in speaking the hard truth and truly leading, I think we are going to continue to fight amongst ourselves while the world passes us by. We need to make some fundamental and very difficult changes in this state in order to be in a position to grow economically – property tax reform, education reform, a bold green jobs initiative and an end to mountaintop removal. I’m pessimistic than any of our 2012 gubernatorial candidates will pick up any of these issues – maybe green jobs. While Gov. Manchin is too conservative for my taste, I am glad he has put education reform on the table and is pushing the dialogue. But, at the same time, he’s had so much political capital to do some really tough things – like standing up to coal and taking on property taxes, it’s very disappointing that he’s not chosen to do so. Well, it’s just never been in his DNA and it’s clear that his eyes are on his poll numbers as he considers the U.S. Senate in his future. As a southern West Virginian who has worked on various economic development initiatives, I can’t feel hopeful as long as mountaintop continues. I think it’s destroying something deep down in our souls. And, distracting people from the real challenges of competing for jobs in a new century. Not to mention the epidemic of drug abuse, especially in southern WV. It’s a terrible price to pay for living in a place where coal is king.